Feb. 7, 2019 (MedicalXpress) -- A simple drug cocktail that converts cells neighboring damaged neurons into functional new neurons could potentially be used to treat stroke, Alzheimer's disease, and brain injuries. "The biggest problem for brain repair is that neurons don't regenerate after brain damage, because they don't divide," said Gong Chen, professor of biology and Verne M. Willaman Chair in Life Sciences at Penn State and leader of the research team. "In contrast, glial cells, which gather around damaged brain tissue, can proliferate after brain injury. 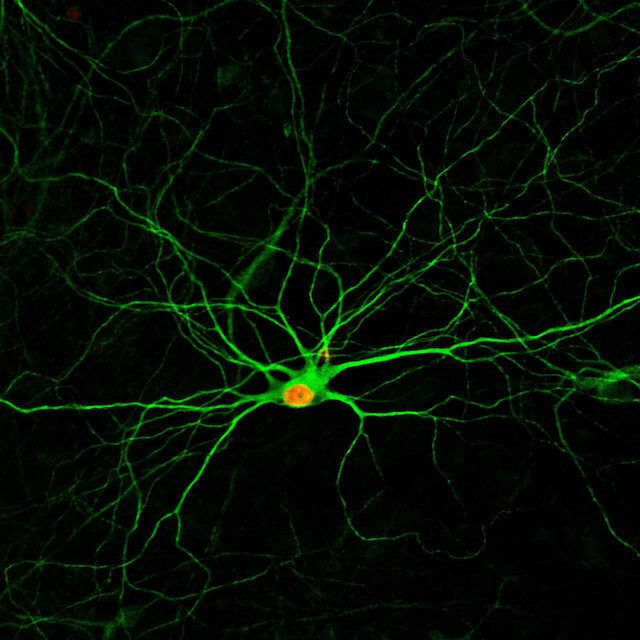 I believe turning glial cells that are the neighbors of dead neurons into new neurons is the best way to restore lost neuronal functions."